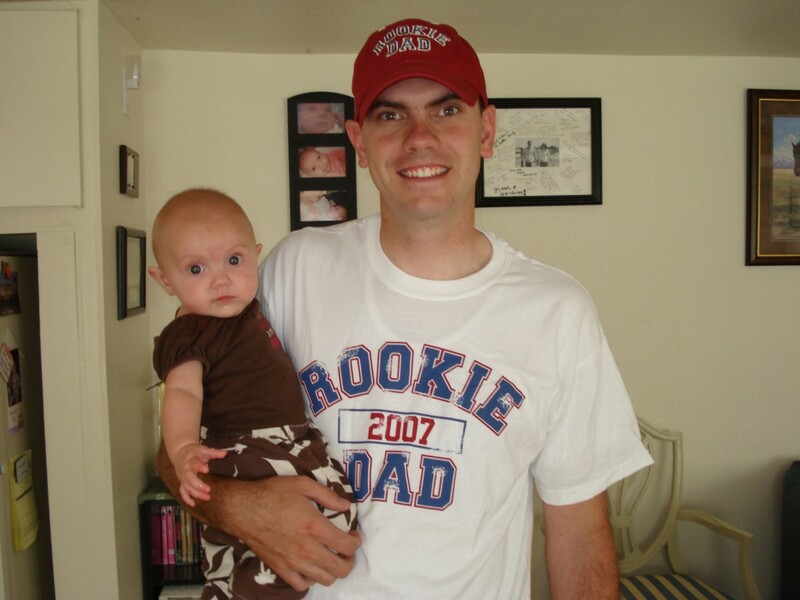 At 5′ 8″ and 135 pounds, I’d give anything to be that “chunky” again. 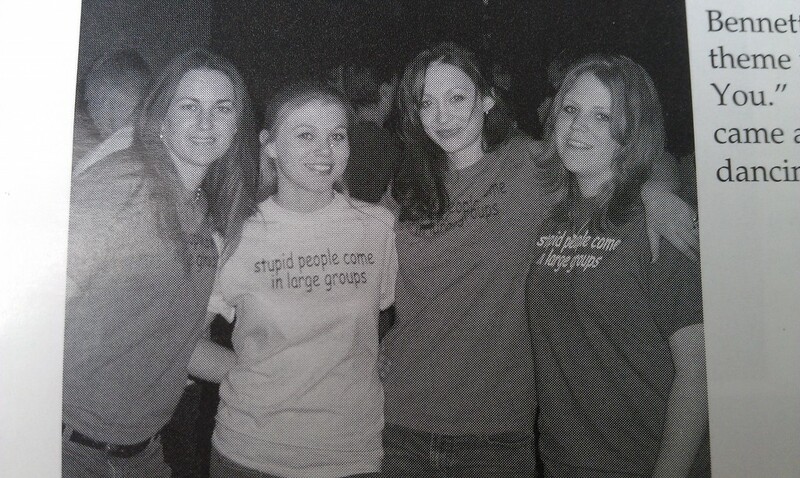 Our ten year high school reunion is coming up next year, and I’m really looking forward to it. 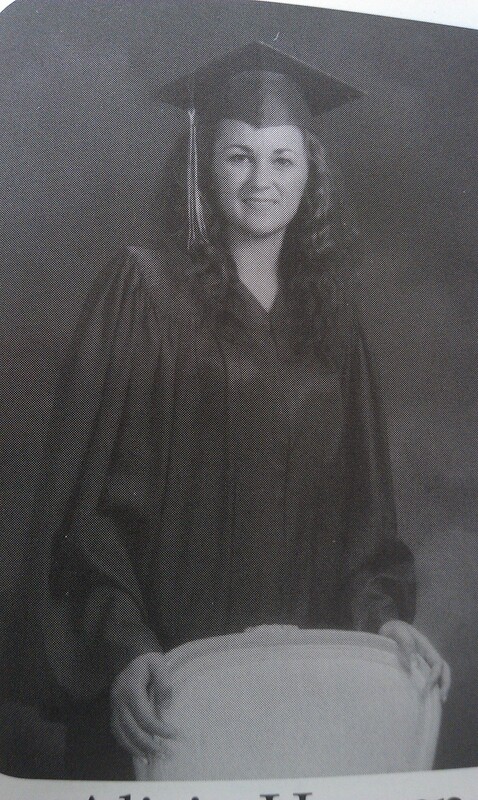 While I didn’t enjoy high school all that much, I LOVED my senior year. My class is full of some of the greatest people on this green earth, and no foolin’. I had so much fun looking through my yearbook this morning. 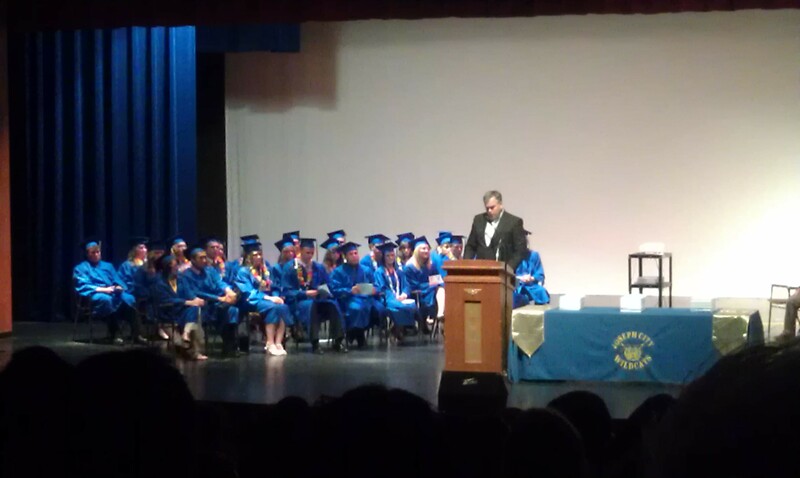 For years and years (seriously, like since I was a little kid) I had wanted to give the “Class History” speech in my senior graduation. I dream big, I know. For those of you who don’t know what the “Class History” speeach is, it’s a hilarious summation of the years we spent together. Because the classes who graduate from our little high school are so small, we really do have some great “history” stories. While we were planning our graduation ceremony, I raised my hand and asked if I could help write and give the class history speech. It turns out another kid in our class had been dying to give it for years as well, so we teamed up with my friend, Erin, and we wrote and gave the speech. 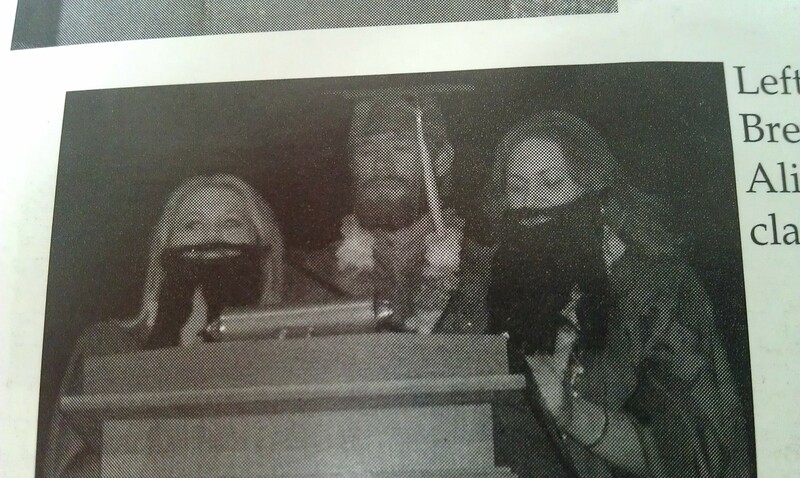 The guy we gave it with had been dared to grow a beard and not shave until after graduation, so Erin and I made sure we matched. I was voted Most Original Girl, and boy howdy: was I. I was really fun when I was 17. I was creative and crazy and funny and independent. Remind me to look at these pictures when I’m not pregnant. Right now I can’t exactly focus on losing weight… but when I’m done nursing, I will need some inspiration. Granted my entire BONE STRUCTURE has changed since then and getting back down to 135 is a laughable goal… but I’d be happy with a sturdy 145. 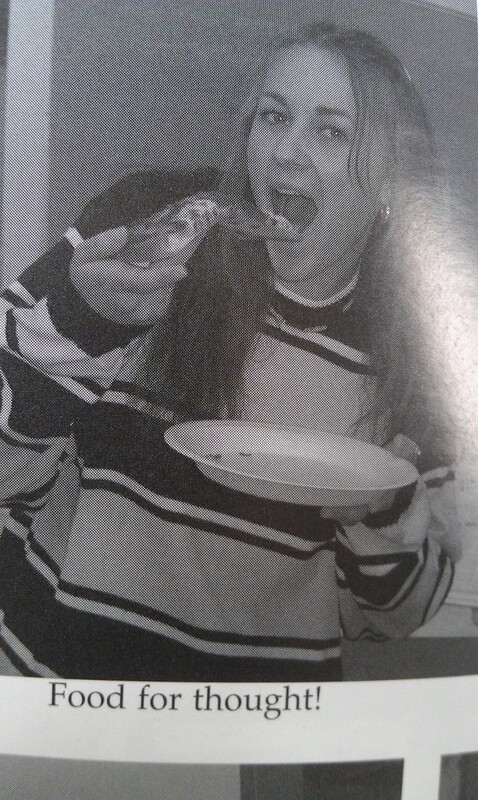 I just wish I could get away with EATING like I did back then. Snickers Bar and Dr. Pepper for lunch, anyone? Since my husband and kid have been home, life has been… in the words of dear Ms. Austen, a quick succession of busy nothings. After the kids had been reunited for three whole hours, they were back to squabbling and I found myself parked in my car in Wal-Mart’s parking lot with my kids in the backseat, fighting over something. They’d been fighting in the car on the way to the store. They fought IN the store. They fought on the way back to the car. And there. Sitting in my parked car full of groceries, I yelled at my kids about how we don’t TREAT EACH OTHER LIKE THIS! And then I drove home guilt-filled for yelling while trying to get a point across about treating each other nice. While at the store, I bought the store brand (bagged) of Fruit Loops. This is significant because we haven’t had cold cereal in this house in ages. With rising prices, cold cereal just didn’t fit on our grocery list. I used to put it in my cart only to put it back later because my budget ran out and I still needed things like milk and eggs. But when I’d ordered my Bountiful Basket, I’d ordered the granola. It isn’t the best snack, but it makes for amazing breakfast cereal. We’d polished it off in a matter of days! It turns out having a cold cereal around makes life for a pregnant mother easier. So I bought Fruit Loops, and I ate them. and ate them, and ate them, and ate them. I bought them on Saturday and by Monday night they were GONE. I had help, mind you, but I feel mostly responsible. In addition to my mad Fruit Loop eating, I also spent the weekend eating mostly processed food. Now: I don’t usually eat processed food every day, but I was so sick and tired this weekend that we ate Hamburger Helper. And we ate Mac n’ Cheese, and we ate Fruit Loops. And at the end of the weekend, I felt downright rotten. Because it’s not good for our bodies, yes of course… but also because my Captain America hates processed food. I eat the Mac n’ Cheese because I’m hungry but the baby takes the flavor out of it. It tastes like cardboard. I pulled out of my slump yesterday. Oatmeal and raisins for breakfast, two tuna sandwiches on whole wheat for lunch, and… using what was left of my Bountiful Basket, I made a tomato pie and cauliflower pancakes for dinner. The tomato pie had a homemade wheat crust, and I ate that dinner like there was no tomorrow. It was delicious. I wish I had the energy to cook meals like that every day. As it is, my kitchen is still begging for mercy. Just about the time I get it cleaned up, it will be time for dinner again. I don’t mind. It’s just… boring. My husband has kept himself so busy that even though he’s home and I’m home, we hardly see each other. He stayed up until well past dark last night planting herbs and flowers for me. I stayed inside and made him the cinnamon rolls I promised him, um, two weeks ago. My biggest accomplishment since last blogging is simply this: I went ALL day yesterday without one sip of Sprite -my first “clean” day since morning sickness began. In other news, the minute I publish this post, I’m going to be cracking a can open. On Sunday, my son was taught a lesson on his eyes. His outstanding teacher sent him home with a paper that said, “I am grateful for my eyes” and she had written the same words in braille above. My son came home bursting to tell me the story about how Jesus made that blind guy see again. 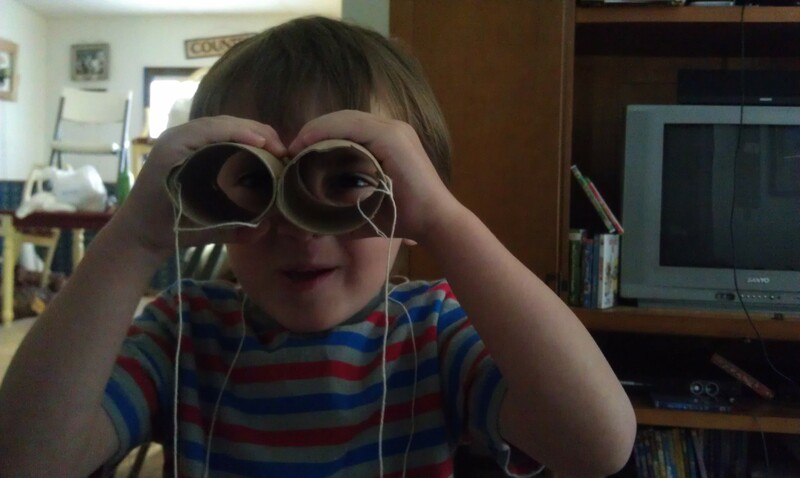 She also made the kids binoculars which my son calls “wee-nocleurs” and no one wants to correct him because it’s darling. We even made up a song for him to sing so we could hear him say it over and over. And then we make him say, “There’s oil under this studio, see… we’re gonna tear it to the ground, see… sweet, sweet oil, see!” because hearing Trent quote The Muppets is the best thing in the whole wide world. Maybe life will pick up soon, but I hope not. A lull in life is a great treasure, and I’ve got a half-eaten box of Otter Pops to prove it. For the past two days, my husband and son have been gone. They took a trip together to see my sister-in-law graduate from high school. I stayed behind on account of being a car for longer than .387 seconds makes me sicker than a dog. I kept my girl with me. “Mom, are the boys gone yet?” She asked as her father loaded the luggage in the car. My son was equally as thrilled to be leaving. “Bye, Mom!” He called out from the front door, his Iron Man lunch box in hand (he’d filled it with underwear and pennies -necessities, you know). And when they finally left, my daughter was in a tizzy. Three hours later, she asked when they were coming back. She missed them. Well, I did too but I was sick and honestly -it was nice not having to feed an entire family or pick up after them. I can honestly say that I haven’t cooked anything since they left. I’ve done a few microwave dishes (like Mom’s custard recipe and some instant oatmeal), but other than that… I’ve been lucky enough to not have to cook. My daughter and I painted our nails and watched movies. We went up to the convenience store and bought Little Debbie Brownies and Sprite (for me). We came home and snuggled and laughed and watched movies. We ate chips and shared a Subway sandwich. 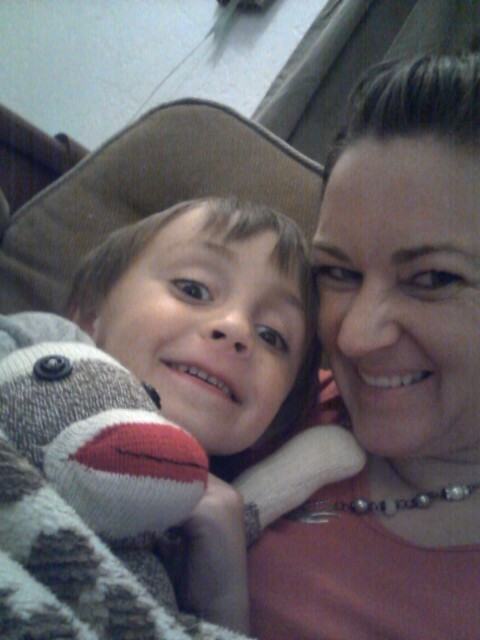 We took turns watching Curious George and chick flicks. When we felt like it, we got the mail. “Sure, just bring me a cup,” I said. “There’s no clean ones, Mom… wait! There’s the clink ones…” She produced a crystal goblet. They’re normally off-limits (since they were wedding gifts, and my son had shattered one and I shattered the other and that only left 2 and I need at least 2 for nights when I cook romantic dinners for 2), but the last two days I have taken on a “sure, fine, whatever” attitude. So she brought me a clink glass and the milk. I filled the glass. She took a sip, set in the edge of a chair and it spilled everywhere. I sat up to pick the glass up and my hand landed in a pile of Sour Cream and Onion Chips. In other news: my daughter swigged the last of the chocolate milk, I hadn’t bothered bathing either one of us, and the curtains stayed shut. No natural light was allowed in our party. Yesterday afternoon, I looked around and saw around me an absolute pig pen. There was dirty cotton balls (used to remove polish), empty Sprite bottles (plural), brownie wrappers (plural), piles of clean unfolded laundry, piles of blankets we were using to snuggle… and EVEN THEN I was too indifferent to try very hard. I knew I should have, but it just felt so good to have the pressures of housekeeping OFF for one day (okay, almost TWO) that I basked fully in it. Then I got a blessed text from my husband. “I think that’s a good idea,” I text back, fully knowing that it would give me a grace period for getting the house clean. we visited with my parents and then made our way home. At 10:30 that night, I found my daughter at the kitchen sink. Well, SOMEONE ought to be doing something -the house was a wreck. It reminded of the day I went to visit my boyfriend (now husband) during the summer we spent apart. He had to go to work, and I sat at his house and waited for him. All of his roommates had to work, and I hated just SITTING there so I thought I’d make a fresh batch of cookies. But the kitchen was too dirty. Their trash can was homemade, for crying out loud -fashioned from 2x4s. I washed the dishes, the oven, the counters and the table. I swept and I arranged things to look a little nicer, and then I thought I’d bake them some fresh chocolate chip cookies. I opened the cupboard to find… no mixing bowl, no measuring cups OR spoons, and absolutely NO ingredients to make cookies. I went to the store and bought the tiny size of everything (you know the cute little bag of flour that weighs a whole pound maybe?) along with a mixing bowl and cups, went back to the bachelor pad (which housed a big screen TV but no hand mixer) and baked a big batch of homemade chocolate chip cookies. Just as the second batch came out, the first roommate came home. I still remember the sound of the screen door slamming and the sound of him breathing in deeply. “It smells like a woman in here,” he said, and then proceeded to eat 10 cookies. Well… my house is at that bachelor pad point. And it most definitely DOES NOT smell like a woman in here. 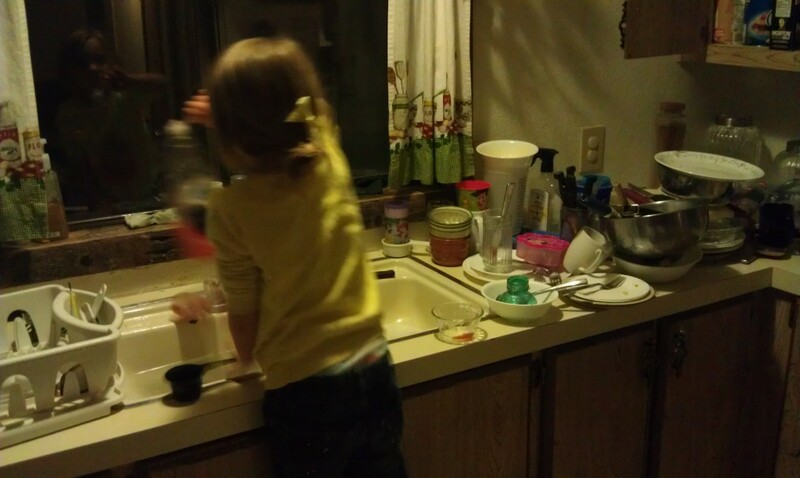 My dutiful little daughter stayed up with me until after 11:30, rising the dishes and putting them in the drainer. It made the job go by so much faster to have someone to talk with. 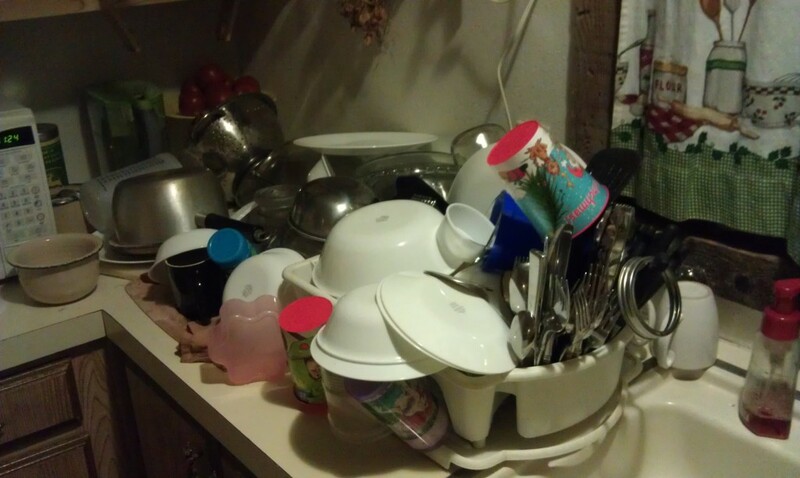 She’s getting better and better at stacking the dishes. “Mom, I want to just make you happy,” she said. She ditched the clothes in a heartbeat. Now the living room actually looks a million times worse than it is. I’ll have it cleaned up and shining in no time. The laundry will take a little longer, but with my little helper we’ll have it done quick. And do I regret the after shock from my bachelor weekend with my 5 year old? I had to add the “and one day” because it made me sound like Jud Fry. It’s a terrible picture by all means, and at the same time: it’s also art. because it tells the truth. I’ll look back at this picture in a few years and remember that when I was ten weeks pregnant, there were days I was too sick to do my hair. 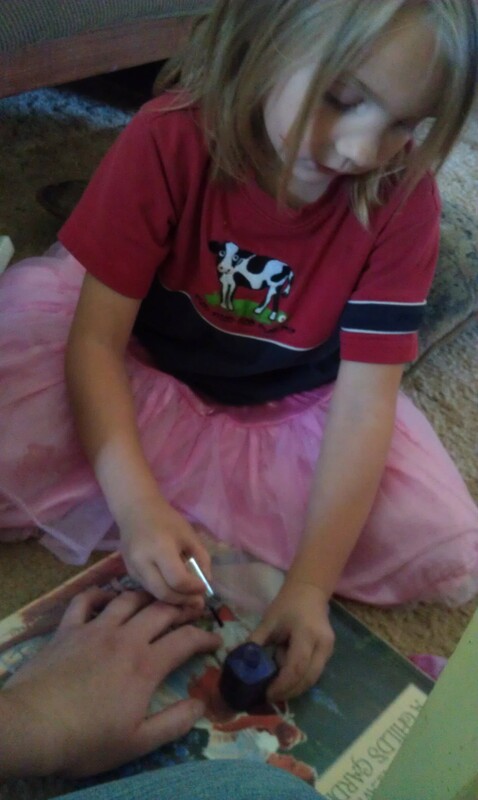 There were days that I let my daughter paint my nails. There were days the last thing I was worried about was good posture. There were days where I was completely oblivious to the fact that my children had hung a horse via mini bungee cord to my print off of Ben Franklin’s 13 virtues. In a few years, I’ll look back and remember my life as it really was. There’s too much credit given to posed pictures. Okay, that’s not true. Posed pictures deserve a lot of credit. Just ask awkward family photos. In any case, I’ve spent the past two days feeling sick and seriously tired. I know the cure is food, but how can I make food when the thought of it makes me sicker? What’s more: how can I make food in a kitchen where there’s no counter space because the dishes need done? I decided to take the family out to dinner last night. The local pizza place would be open, and if we ate there I wouldn’t have to cook or clean up. And then something amazing happened: my mom called. My parents took me and my daughter out to dinner, where I behaved terribly and Mom was terribly nice about it. She paid for my dinner. I ordered a medium pizza and cheese sticks. I ate two pieces of pizza and two breadsticks, but I looked at my mom’s salad and wanted it. I really wanted it. I knew it would be the rudest thing in the world to order one for myself. She insisted on paying for it, and I felt terrible (like I said) about it all. But if there’s anything my mother taught me, it was always LISTEN and DO what she says. I learned years ago not to argue with Mom… especially if Dad was around. Isn’t that the way it should be anyway? I know if my husband catches my kids arguing with me, he puts a stop to it immediately and I stand there thinking, ‘Why do they listen so well to HIM? What am I? Chopped liver?’ But that’s the way it is with Dads. I can’t be too upset because I know I acted the same way as a kid. I then proceeded to eat the salad. I went home filled to the brim and it felt wonderful. For the first time in ages, I slept all night! 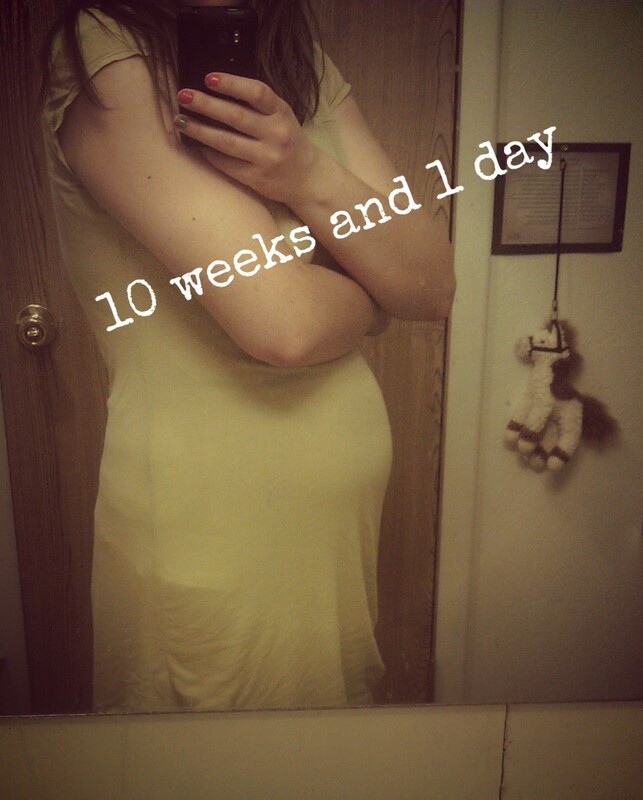 One plague of this pregnancy is I’ve been waking up in the middle of the night with nausea… the strong kind of nausea that wakes you up and keeps you up. But last night? I SLEPT. No nausea. I dreamed about one of my former classmates dressed up as a giant monkey, running around the high school campus through the sprinklers while the rest of the crowd at the high school was trying to stop the sewer from overflowing… but no nausea. I owe that to my parents. The no nausea, not the monkey-and-sewer dream. And the last two days have also brought something very special with them: tears. I’ve been outright sobbing for NO good reason. I’ll lie down to rest on my bed and end up sobbing. I’ll put a movie on that isn’t sad in the least and end up bawling. The tears are just a physical representation of something this pregnancy has done that no other has before… it makes me feel EVERYTHING so very deeply. My husband and I have a running joke about movie kisses. If a movie kiss is really good, I can literally FEEL tingles in the palms of my hands. “Did you feel it in your hands?” He’ll ask, every time a hero and heroine chance to lip-smack. Well, last night I watched a movie about an Amish girl who finds out she’s adopted -that is, not TRULY Amish -and I bawled through the whole thing and my hands tingled so much they hurt and there was hardly any kissing involved. The farther I get into this pregnancy the more I’m convinced that I’m growing Captain America… for realsies. And I can honestly say. I can HONESTLY say: I felt the baby move for the first time yesterday. At ten weeks and two bits. I can also say for certain that the spirit that goes along with this baby is STRONG. It’s almost overpowering. I feel like I really need to get my life in order before this baby gets here, so that when it does I can be better set up to teach it. I need to get better about my scripture reading, my prayers, my… everything. This baby, the one that’s eating and growing and making me crazy will definitely be someone worth meeting. I can wait though. I can definitely wait, at least until the kids’ room is set up to accommodate a new little person. Talk to me again in 6 months, and I’ll be singing a different tune. You knew, didn’t you. You knew the SECOND I wrote in yesterday’s post how easy this pregnancy was being on me that I’d get whacked with a horrible bout of The Pregnants. Well, come what may and love it, right? Nevertheless, there’s a silver lining to every cloud. I’ve been able to enjoy quite a few movies. I did promise myself that if I ended up glued to my couch with nausea, I’d at least crochet while I watched movies. But when it comes right down to it, when you’re nauseated… you don’t WANT to do anything but wrap yourself up in someone else’s story in hopes that you’ll forget all about your stomach. Wait, you DON’T do that? It’s giving me a chance to delve shamelessly into my cheesy girl movies that I’m too embarrassed to watch with anyone but my daughter. You’ll see what I mean in a minute. At the end of next month (I think) my husband is having surgery. His septum, dears, is deviated. He’s really, really, really, really, nervous about the surgery and with good reason. With all his graces and charms, he’s not exactly one of those men who goes in for surgery, balks at the nurse who says, “You’ll need to stay down for at least a week” and walk outta the hospital straight back to their construction site. My husband is more the sort to beg the nurse for a little more rest time before having to sit up, and whatever the recovery time is, my husband takes and then some. It’s just the way he’s built, so I don’t blame him for being nervous. I did, however, encourage him to start building a Netflix queue. His queue will look nothing like mine. I’m going to share some of what I’ve been watching because I’m a movie NUT and I like to talk about things like this. 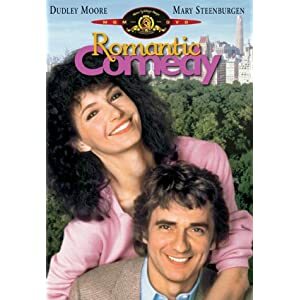 First off: Romantic Comedy with Dudley Moore. Yes, the music is really, really 80’s. Yes, the plot is lacking in morals. Yes, I still recommend it. It’s sort of like “Farewell to Arms” except it’s modern, happy, funny, and everyone ends up happy in the end. Two writers who are obviously in love, but when one is available the other isn’t and so on and so forth. I loved it. I just finished watching season 2 last night, and I have to say: I am 100% in LOVE with this show! First off, the “seasons” are each only three episodes long, so you don’t feel like you’re wasting too much time being addicted to it. Each episode is a fulfilling hour and a half long. Season 1 is on Netflix Instant Streaming right now. Season 2 is on pbs.org. Hurry through season one so you can watch season 2 before they take it off pbs. This is my confession: I loved this movie. It’s cheesy and the acting is terrible and the plot line is predictable… and I still really liked it. Oh, gorsh. I’m getting off on an entirely different subject. Yes, it’s an old one. It is in color though. It’s about a recovering alcoholic who returns home to reconcile with his family. Feminists would hate this movie. A few feminists reviewed this movie, and I wanted to ring the neck of their reviews. According to a few people, his wife never should have allowed him back. Forgiveness, it seems, is a lost art in our culture. Again, I need to move on. This is always a classic with me. It’s also old, but it IS in color. Peter O’toole has the most beautiful eyes imaginable. This flick is also bursting with wit. I can never watch it enough. It’s the worst movie ever! 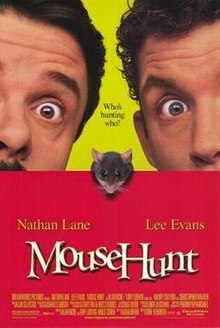 If the scene where one of the men pours his cereal into a bowl and a MOUSE comes out with it doesn’t get you pulling your hair out, the rest of the movie certainly will. It’s one huge disaster after another… like the Three Stooges (black and white) but much longer and much, much, MUCH less funny. I was so bugged over the stupid movie that I couldn’t sleep that night. I would have just turned it off, believe me, but my kids were interested in it. Poor souls. Today I’ll be burning up my queue a little more while I fold my laundry. My husband cleaned my laundry room and it is SPICK and SPAN. 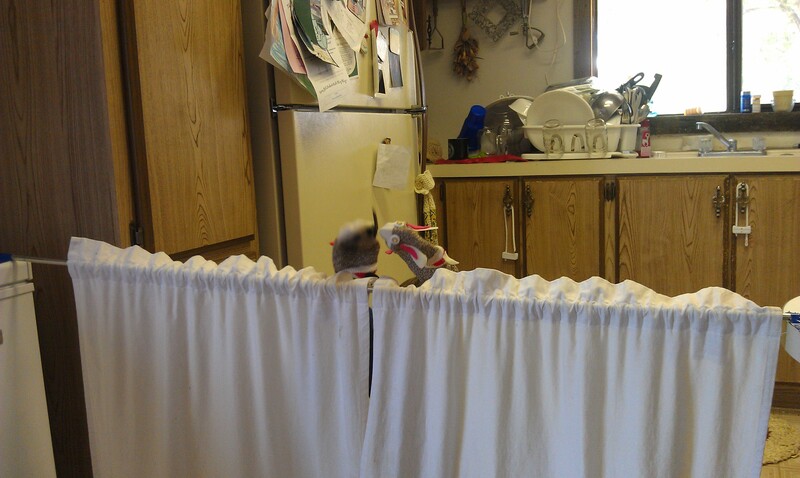 Incidentally, the rest of my house is wearing the laundry that used to be in the laundry room. So while the laundry room looks amazing, my living room looks like a laundry room. Follow? We’ll definitely be ordering out tonight. Yesterday was a busy day, and the darndest thing happened: I didn’t get sick. I don’t know why this pregnancy has been so easy, especially when my last pregnancy was so hard. I hate to admit it, but I feel like I’m waiting for a miscarriage -it just can’t BE this easy… it’s too good to be true. Mostly though, I’m just grateful. I’m able to accomplish things. I’m more active than I thought I could be. Yesterday I was blessed to be well, and I was able to do something I’ve been looking forward to for a while. I got to sit next to my Granny while she worked on the feet of her patients and interview her about my mother’s accident. Granny is licensed in reflexology, and she’s also a retired midwife. Her bank of knowledge knows no bounds. As I sat with my voice recorder going, I listened as she recalled the day… 26 years ago, when my mom was 26, that the accident occurred. and she was the Primary President. 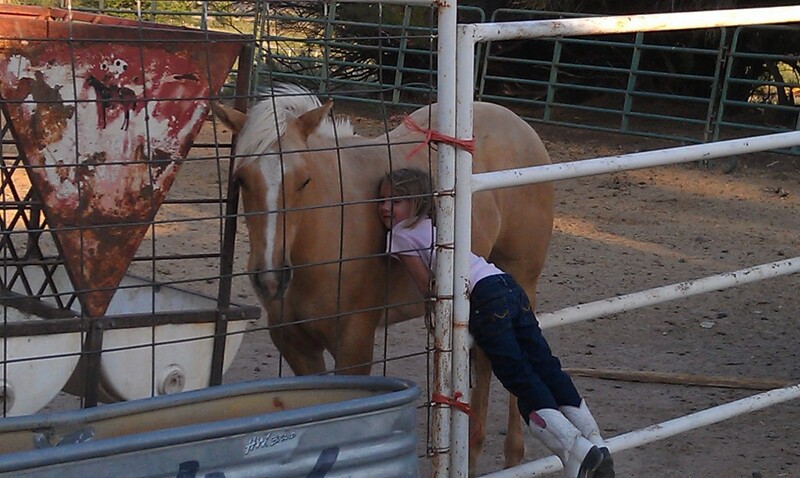 She went out with my Dad to practice barrel racing on her horse. Granny said it was March 3rd, 1986. What should have been a leisurely morning turned into something quite different. 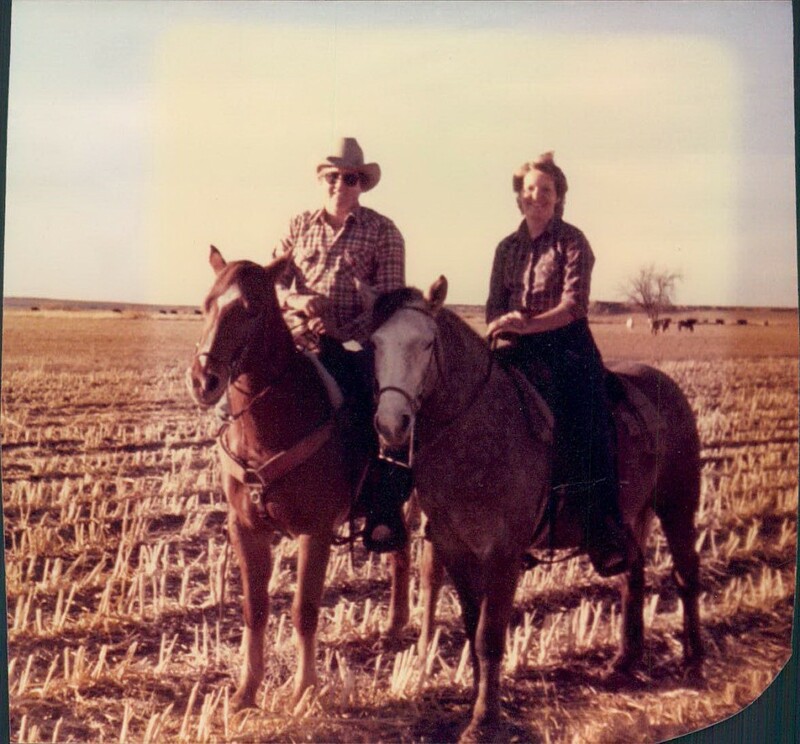 Mom’s cinch on the saddle wasn’t secured properly, and her saddle turned completely upside down on the horse. Mom’s neck sort of snapped back like a whip, and her head came to rest on a rock. What followed was a series of short miracles: an oxygen tank that shouldn’t have been at my (great) uncle’s house was there. It was given some credit for saving her life. A Priesthood blessing was administered. She was rushed to the nearest ER, and my Granny soon followed after. They couldn’t take care of her in the little hospital nearby, so they took her by ambulance (which broke down on the way to the airport) to an airplane. Before being flown to the Phoenix area, the emergency personnel insisted that my grandmother kiss my mother. They insisted Granny tell Mom goodbye. 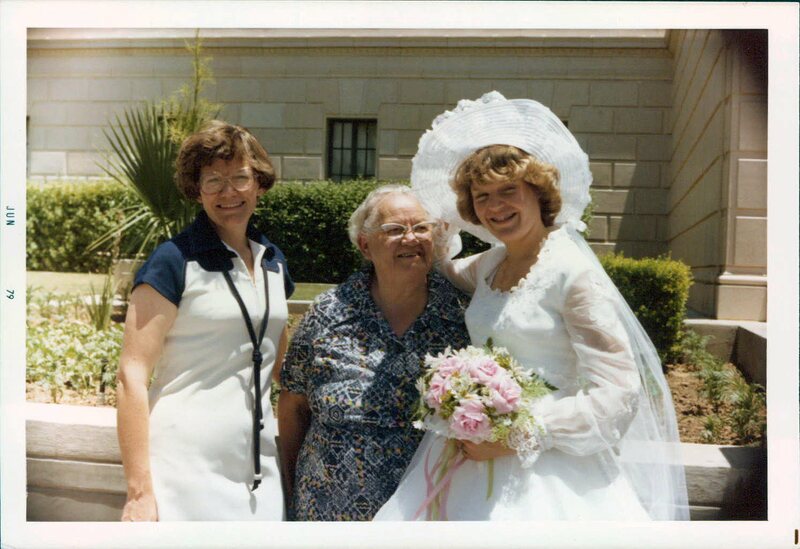 Once in an Intensive Care Unit in a Phoenix hospital, my mother was provided for. She was unconscious for the most part, and Dad -a small business owner -stayed right by her side. He stayed with her all week while his mother and my mother’s mother kept the kids. On the weekends, he came home to manage the business end of his mechanic shop while Granny sat at the hospital. As Mom came to, Dad was there. Mom learned how to talk again. Mom learned how to eat again. Mom learned how to walk again. Once home, Dad continued his constant care. The doctor warned my Dad that Mom might not be the same. 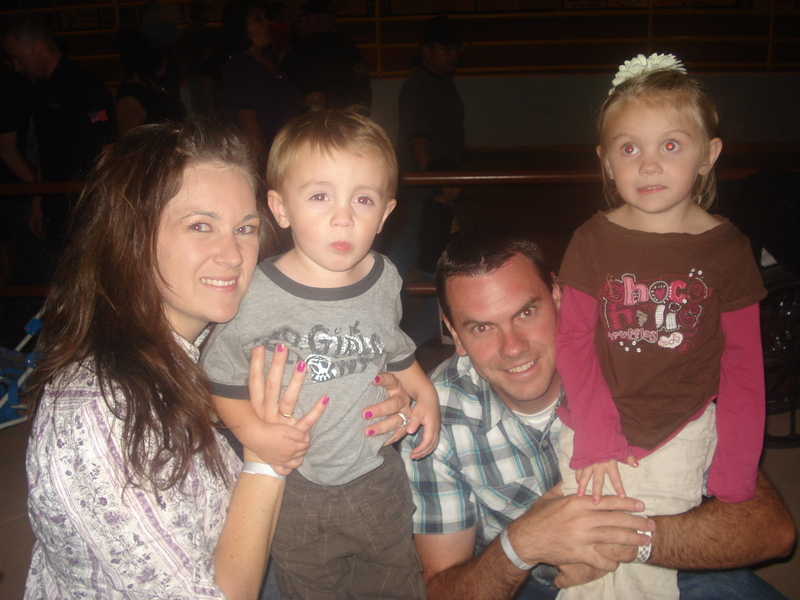 With a head injury like Mom’s, there was a chance she’d never be the same. “You don’t need to feel guilty if your marriage doesn’t work out,” the doctor had said. That’s the way my Dad told me the story, anyway. Also: if my dad calls you “buddy,” you’re better off dead. Do I remember any of this? Or course not. I was the 7 month old baby. I’m learning it all so I can write it all down. It’s going to make for a fascinating read for my kids and their kids. It’s a story of growth and miracles and change and priorities and courage and adversity and triumph and, as with anything, a heckuvvalot of hilarity. But mostly? Mostly it’s a story of love. I didn’t think it would be -silly me. But as I listen to Granny and I listen to Dad and I listen to Mom… it’s definitely a story of binding love. The love families have for each other. The love grandmothers have for grandchildren. The love an aunt has for a niece she nursed alongside her own daughter. The love small children have for their mother, though they didn’t understand exactly what was going on or why mom didn’t just come back from her horsy ride. Ultimately, it’s the story of the capacity of one man’s love for one woman. That one man is my father. Their story has defined and shaped my own marriage, and I can say this for certain: as I went about my dating life, the bar was impossibly high. Dad had shown me what I could have. I wasn’t about to settle down with anything less. I didn’t. That isn’t to say that my Dad is flawless -I guess that makes him even more lovable. My husband, too, isn’t without flaws. Our marriage hasn’t been smooth sailing. 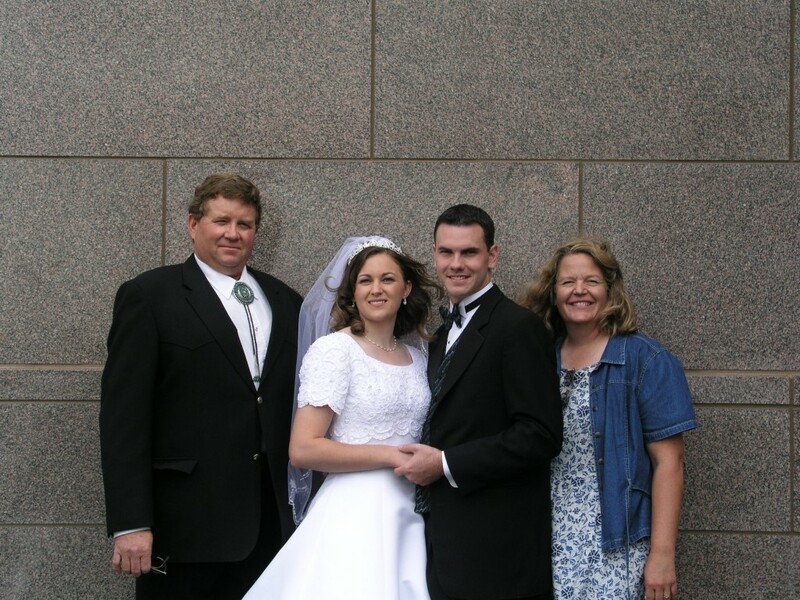 Has anyone had a smooth sailing marriage, really? Together, my husband and I have overcome obstacles. We’re still overcoming them. We fight to overcome obstacles that have the capacity to break marriages, but we won’t let go. Just like my father fought for my mother, so my husband and I fight for each other. I don’t record our heartbreak -the tears, the conflicts, the incessant piling of paper next to my husband night stand (oops, did I just record that?) because I don’t want to remember it. I don’t want my kids to remember it. What’s gone is gone, and let’s bury it… shall we? I don’t want my present muddled with grudges because I never know when some idle Tuesday might be interrupted by a life-changing a event that leaves me wondering if I lived in the present enough. I guess none of us do. But let’s not make it that way for lack of trying. And no matter what -and despite what we’ve been though -my husband is the high ranking knight in my world. Well, co-knight… right up there with Dad. It wouldn’t be this way if it wasn’t for Dad. Dad taught me well without meaning to teach at all. Because of Dad, I knew JUST what to look for. Every girl needs a good Daddy. My daughter is very lucky. May the chain never, ever be broken. Years ago, my husband and I attended a fireside for couples. The speaker had us take notes as she listed the top 5 needs of women and the top 5 needs of men. I’m fairly sure I’ve blogged about this before, but every time I stumble across my husband’s notes I laugh out loud. He goes into GREAT detail. Cracks me up every time. Our number ONE need is security. I can’t tell you how glad I am that’s number one on the list. I’ve often felt like maybe I was a jerk because the most important thing to me in our relationship was being taken care of. What kind of a woman did that make me? Selfish, right? Apparently I’m more normal than selfish and that’s comforting. 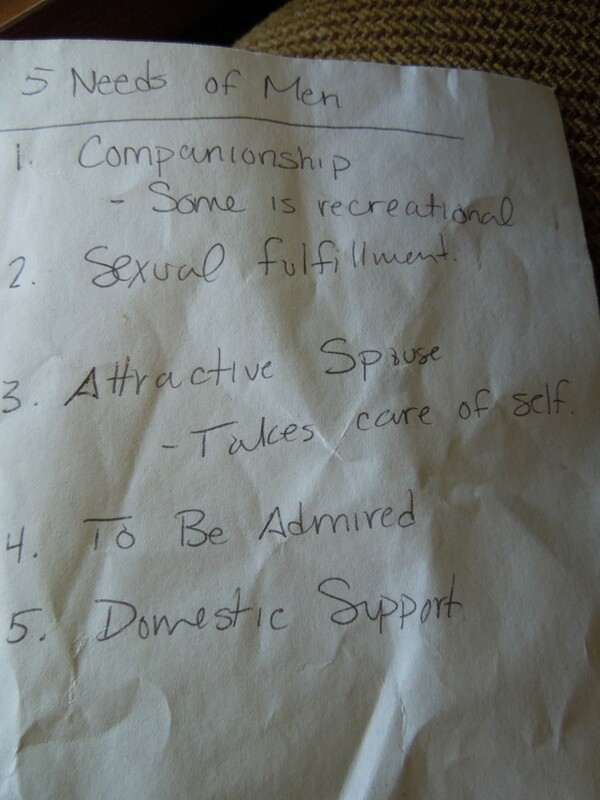 When we were dating, my husband laid out his career and life goals after only one week. It was the biggest turn on for me. The community college campus was FULL of men who had no idea what they wanted to do with their lives. That’s fine for them, really. But hearing a man who knew exactly what he wanted and was doing exactly what he needed to do to get it? There was also the “safe” feeling I had with him. I’d never felt truly safe with anyone I’d dated before. Sure, they’d all been fun in their own ways, but not a single one of them made me feel that safeness. Please tell me you know what I’m talking about because it’s miles of hard to explain. I feel safe when my Dad is with me, and I knew I needed that in whoever I married -I needed security in every sense of the word. #1 on the needs list? Big, fat, CHECK! So simple. So easy. So bam, bam, bam, bam, bam… can you do that for me? Who can agree with me that MEN are the easiest creatures in the world to please? A few months ago, my husband came home from work and I surprised him with a steak, fresh salad, mashed potatoes, and a pie on the side. I set his meal up in front of the TV with his Playstation Controller, kissed his head, filled his glass with milk and then left him the heck alone for a couple of hours. He was the happiest kid in the WORLD, and he was the most pleasant person in the world for the rest of the night. I should also mention that the steak I prepared was actually just leftovers from the night before. Basically all I did was bake a pie, and if that’s all it takes to make him happy: count me in. What do WE need to be happy? Golly, what DON’T we need? Poor men. What do men need? Curled hair, dinner on the table, and a huge pat on the back -in public if at all possible. We are SO different. Our ability to function so well together will NEVER cease to amaze me. Now if you’ll please excuse me, I need to bake a pie. Last evening, I walked outside with my husband. The boy was napping. The girl was glued to a cartoon. We took some time in the garden to just talk. My husband got more than a little nostalgic, and gripping my hand he recalled the day our little girl came bursting onto the scene. “Remember how red her little lips were?” He asked. “They’re still dark,” he smiled. 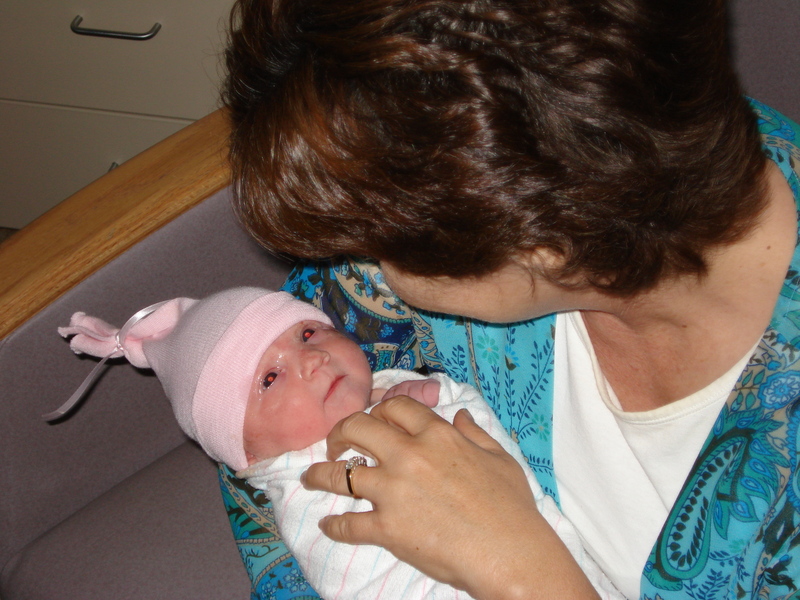 Once back inside, my husband scooped his daughter up and told her all about the day she was born and made us all cry. Well… he cried and I cried. My daughter just asked if she could watch her cartoon again please. Instead of watching her cartoon, we had her watch old movies instead. We flipped through old pictures and movies for over an hour and in so doing MISSED the eclipse. It didn’t bother us much… we were having our own sort of “Sunrise, Sunset” kind of moment within the walls of our little home. 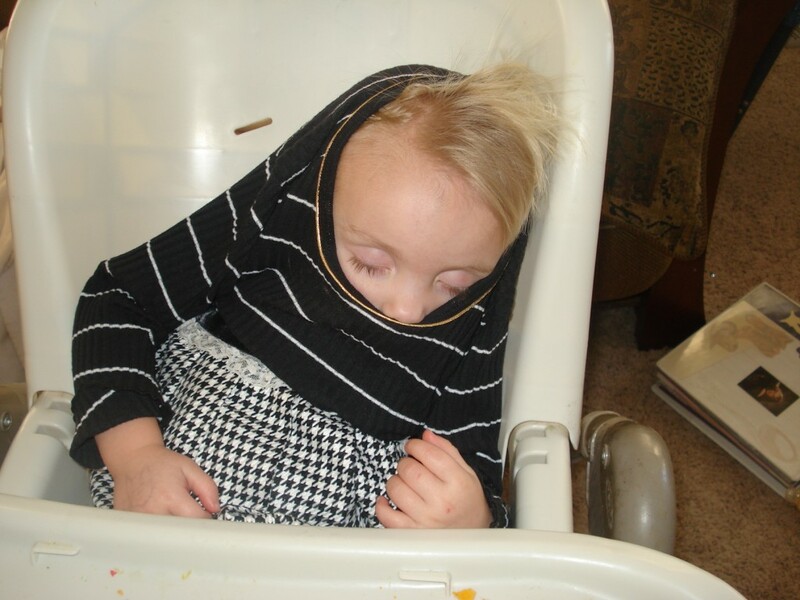 Fast asleep with her dress pulled up over half of her face. 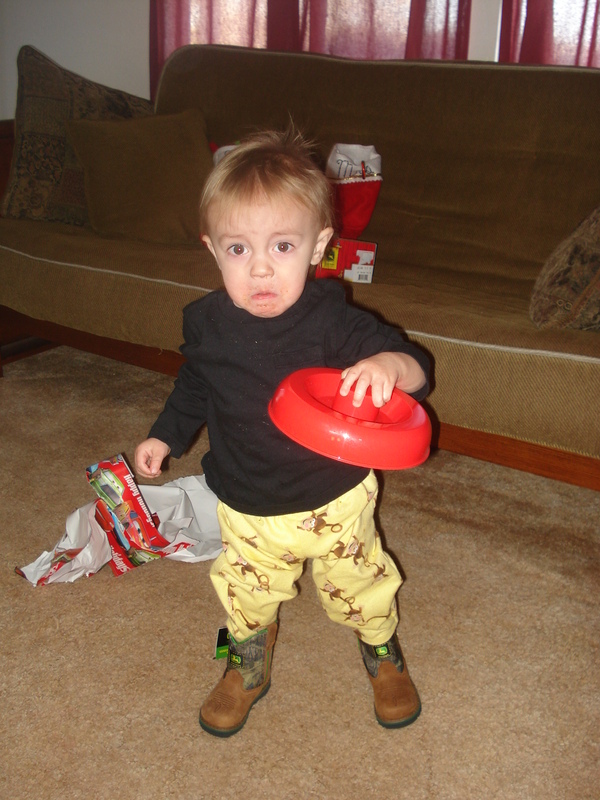 Only to later figure out there was no other form of shoe necessary -boots were all he’d wear. Merrily we’ve rolled along through the years. It’s going by so fast -though some days feel exceptionally SLLLLLOW. 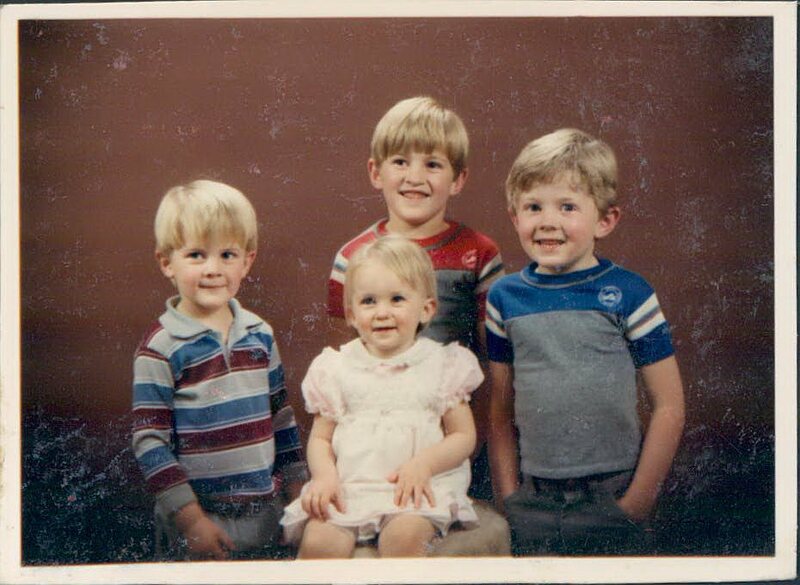 We played through so many old home videos and giggled and giggled and giggled… one video in particular was so adorable. My kids were much smaller, and they were playing puppy. Puppy is still their favorite game; although, my “sweet” daughter has taken to playing Rottweiler and my son has taken to playing Victim. No fun for Mom who actually had to say, “NO MORE PUPPY IN THIS HOUSE FOR THE REST OF THE DAY!” yesterday. Anyway, the video shows one cute little toddler and one cute almost-toddler rummaging around on the floor, “arffing” and hanging their tongues out. And I want to be touched by the cuteness of it all, but something else really stood out. The house was FILTHY. I’m not talking a little cluttered or a little messy. I’m talking: FILTHY. 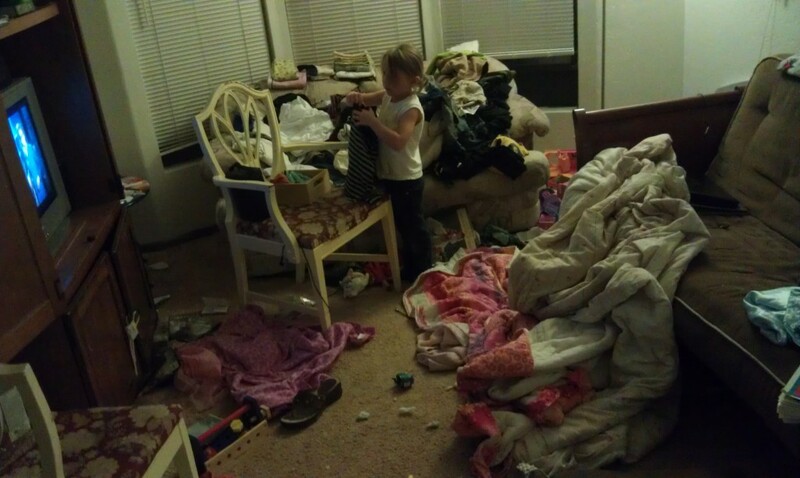 There’s toys scattered over almost the entire surface of the floor (which desperately needed vacuumed). There’s laundry draped over one couch, half folded. Every surface is covered in something… a counter covered in paper and THREE old pizza boxes. Incidentally, it made me feel good about myself. No, I really mean that. For the past, heck, 7 years I’ve been working HARD on being a better housekeeper. Now, I know that it helps that my kids are old enough to help. I know it helps that they’re over going through cupboards and dumping everything out. BUT I also know that I’m making PROGRESS on my goal of being a better housekeeper! I honestly didn’t think I was! The progress has been SO SLOW that I’ve barely noticed it, but there in HD and color video is the LIVING PROOF. Right now, my house is dirtier than it’s been in a LONG time. And it’s STILL cleaner than it was in that video. Hark! All ye angles of mercy! I’m up and coming! Give me another 35 years, and I’ll be writing the book on how to slowly recover from bad housekeeping! Anyway, as I sat the home videos aside I got up and picked up my house a very little bit. And then, per my husband’s request, I baked chocolate chip cookies -minus the chocolate chips. It’s his favorite (I know. I don’t get it either). And as I mixed up the recipe, I realized I had to actually READ the recipe. Two years ago, I had it memorized. I could whip up a batch in ten minutes flat, and I was always guilty of eating waaaay too much cookie dough. My eating habits have also been something that have bothered me. Again: I didn’t think I was making much progress, but as I read the recipe and realized it took me double the time to make the dough… I was a little proud of myself. I’d forgotten my cookie recipe! If you’re a woman, you KNOW what a good thing that is. Is my housekeeping and health work paying off? YES! I had no idea that it was! Thank GOODNESS for old home movies. Thank goodness for forgotten cookie recipes. Thanks to the two of them, I’ll be shutting my computer off this morning and rolling my sleeves up. Sure, I’ll get sick later on… but for now, FOR NOW… I’m going to conquer what I can in this house because I CAN. That old home movie was just what I needed to recharge my battery. Look out, kitchen, I’m coming for you. 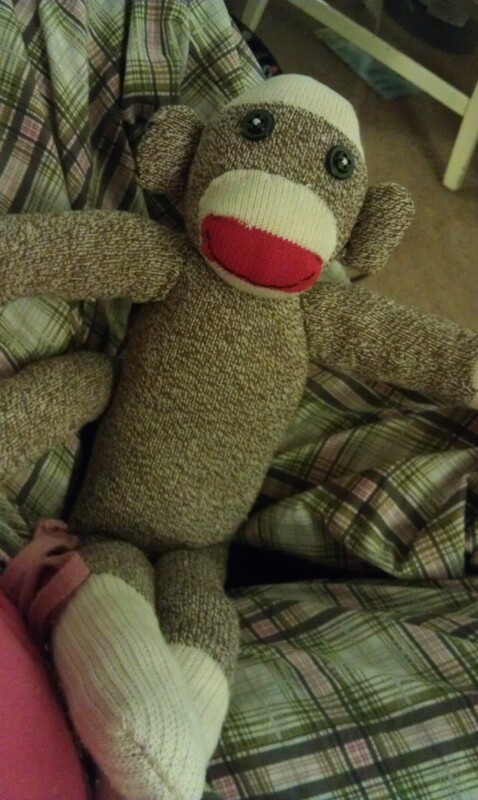 Yesterday after morning chores, I sat down with my craft box and a Bag O’ Damaged Red Heels to make a sock monkey. But the kids wouldn’t have it. The minute I cracked my Bag open, the kids were immediately all over me. You know the scene from Walt Disney’s “Cinderella” where the step-sisters tear Cinderella’s dress to pieces? I felt exactly like Cinderella… watching my goods being torn from my side as my little perpetrators talked incessantly. Did I mention that I had JUST turned on a movie (“A Room With a View” on the recommendation of a friend)? Did you know I had to pause it indefinitely when I was scarcely through the opening titles? In the end, we made a deal. I would make them puppets out of the small damaged red heels. 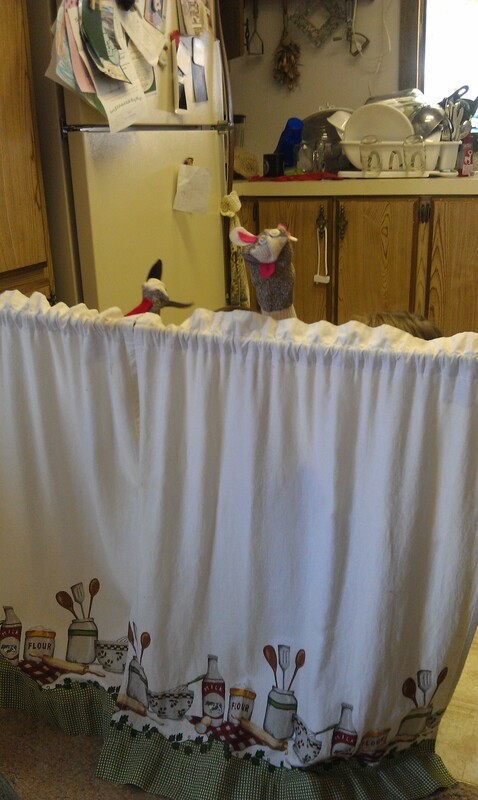 “Mom, we need just a place to hide behind so you may never know it’s US doing a Muppet show,” the girl said. “Bark, bark,” the girl said. “Barky bark,” the boy said. “Bark bark,” the boy said. It went along swimmingly. 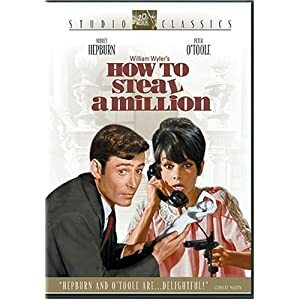 The movie was witty and wonderful, and -thanks to a warning from my friend -I was able to fast forward through the social bathing scene and avoid a few naked men. Win! After four hours, I finished the monkey. And my son proceeded to fall deep, deep, deeply in love with it. “I want a monkey,” he said. I couldn’t deny him. I’d made one years ago for his sister. I’d made at least 10 since then… all for other people. Just like this one was for someone else. And then he hurt himself. There he was in tears… looking up at me… and I gave it to him. I couldn’t NOT give it to him. Have you seen his eyes when he cries?!?! It is my undoing! The monkey hasn’t left his side, and as I picked up my Bountiful Basket this morning with my son I just grinned from ear to ear watching him tote that monkey around by the leg, it’s head BARELY higher than the ground. So after I handed the monkey off to him, I pulled more Red Heels out and started over. 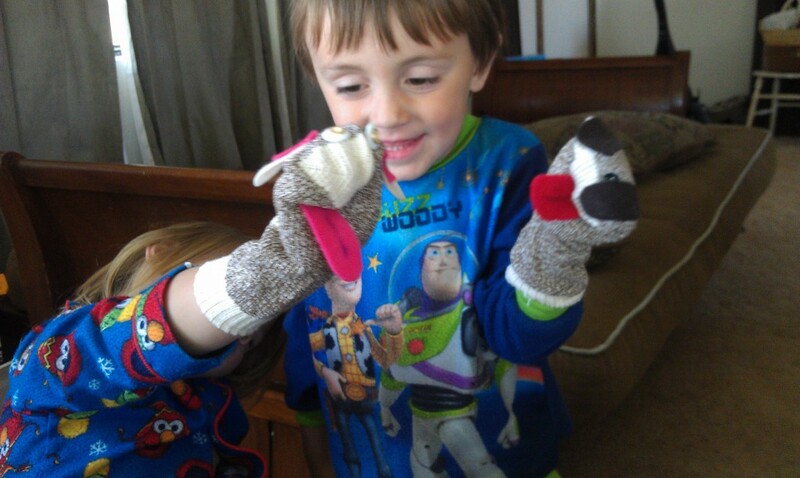 Every kid should have their own sock monkey. Also: Remind me to put PolyFiber Fill on the top of my shopping list. Those bloody monkeys sucked me dry. My son has this THING that he does. I’ve been trying to figure out where he came up with it, and all I can come up with is this: I don’t always use “as” properly. “You’re strong as Green Lantern!” I’ll say. “You’re fast as Spiderman!” I’ll say. Anyway, he’s taken to using “as.” But the way he uses it is a LITTLE different. “I’m the right as boy!” He’ll say when he gets something right. Can you read those last three phrases out loud, please? When it comes out of his little mouth it just sounds soooo NOT innocent, and I can’t help but laugh. I need to teach him how to properly use “as” but he’s just a cute as boy.